Zulily is offering Free Shipping on all orders $35+ with code ZUSHIP1932 at checkout which ends 2/10. 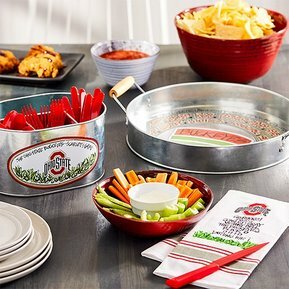 Since I don't have babies or small kids - I'm loving the NCAA Shop with Up to 55% Off select items like the Serving Trays, Veggie Platters and More! There are so many GREAT things so make sure you browse around.